Aaron Phipps farms 2,100 acres in eastern Illinois, two miles from the Indiana border. He's been with Farmers Business Network for three years and fully supports the service. 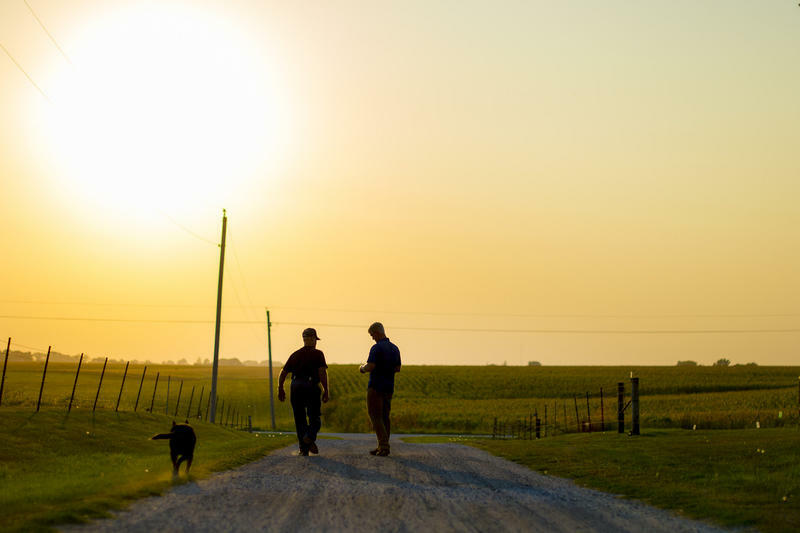 Harvest Public Media's Madelyn Beck profiles the ag startup Farmers Business Network. 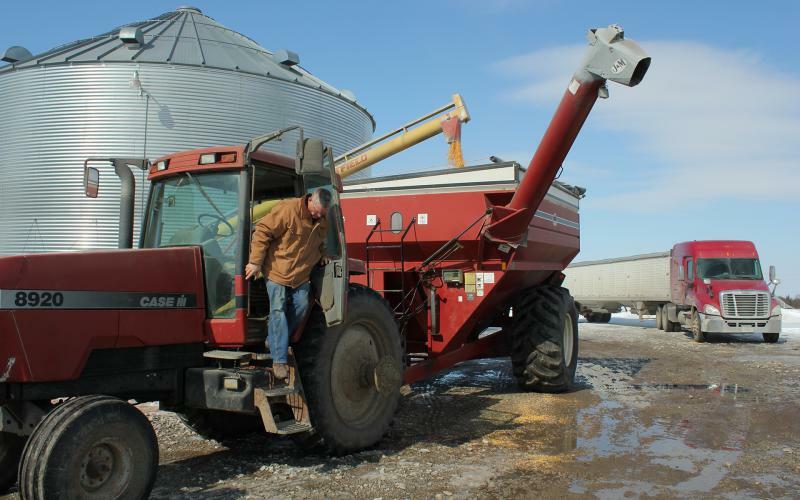 In the age of endless comparable-pricing data, row-crop farmers can’t turn to the internet to find who is selling the cheapest seeds, something that can easily cost tens of thousands of dollars for large operations. This is where Farmers Business Network comes in. Farmers pay FBN between $500 and $700 annually, and send in seed invoices and precision ag data like crop yields and crop performance. In return, FBN aggregates members’ information to show how much certain seeds and other inputs, like fertilizer, are selling for all over the country. It also highlights how well crops are growing in particular states or counties. Large ag companies like John Deere and Bayer already mine some of that data from farmers, though it isn’t clear how all of it is used. 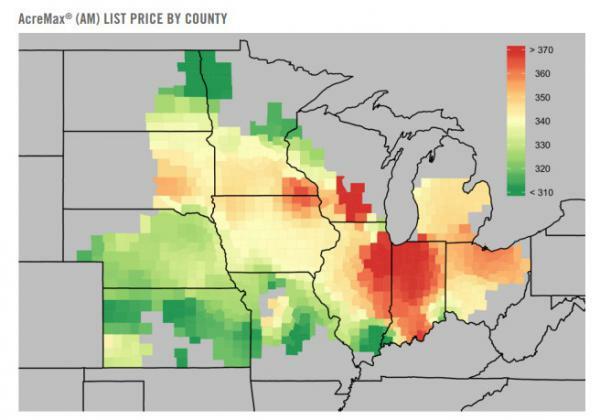 FBN claims one thing is clear from the nearly 8,000 members who farm more than 31 million acres in the U.S. and Canada: There are major discrepancies in ag chemical prices and region-wide fluctuations for seed prices. 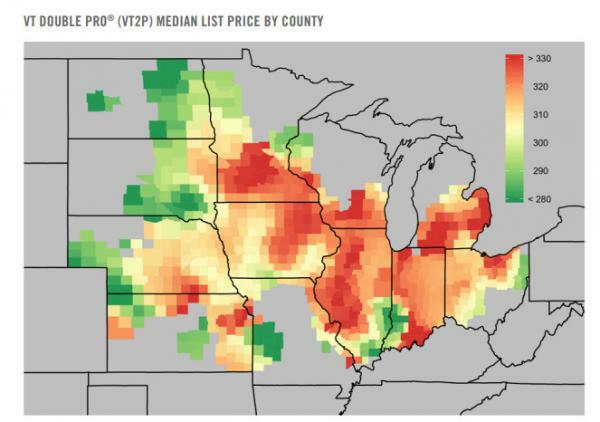 FBN’s head data scientist Matt Meisner called this “zone pricing,” where the exact same seeds from a certain parent company were reliably more expensive in high-yield areas like central Illinois and northern Indiana. “You know, we expected there to be differences. I think we were surprised at the magnitude and the impact it has on the growers,” he said. Harvest Public Media couldn’t independently confirm FBN’s claims, as the company wouldn’t provide a statistically significant amount of its members’ seed-pricing data. FBN said it wanted to keep its members’ data secure. Harvest also reached out to the companies at the top of the seed chain that FBN points to for alleged zone pricing: Bayer, Corteva Agriscience, Syngenta and AgReliant Genetics. Bayer responded in an email without specifically addressing questions about “zone pricing,” instead generally listing things it offers beyond just seeds and chemicals, like “elite genetics,” seed treatments and technical support. Others, like Corteva and Syngenta, referred Harvest to the American Seed Trade Association, which advocates for seed retailers around the nation. As it turns out, ASTA also represents Farmers Business Network. ASTA President and CEO Andy LaVigne said he hadn’t seen FBN’s data on zone pricing, but noted that seed pricing is complex. It changes depending on the time of year farmers buy seed, how much they buy and what protection plans they purchase. That doesn’t fully address FBN’s allegations that farmers in specific high-yield regions pay more for the same seed varieties, though. But trust — in a local dealer or major seed company — means something, LaVigne said. “That seed company is evaluated by that farmer every single harvest. And if they’re not delivering, that farmer is going to go somewhere else … there’s good relationships out there for generations,” he said. Former FBN data scientist Nick Fabina said he wasn’t surprised that the company wouldn’t share member data with Harvest Public Media. Fabina said that, at the beginning, many of the employees had agriculture backgrounds and farmers’ best interests at heart. But the company has grown significantly from the handful of people working in a garage: It now has more than 100 employees scattered across the United States. It also has financial backing to the tune of hundreds of millions of dollars from big-name investors like T. Rowe Price, GV (formerly known as Google Ventures) and Temasek Holdings, owned by the government of Singapore. Plus, FBN is jumping into the business it is trying to disrupt, selling non-GMO seeds under the brand F2F Genetics Network. 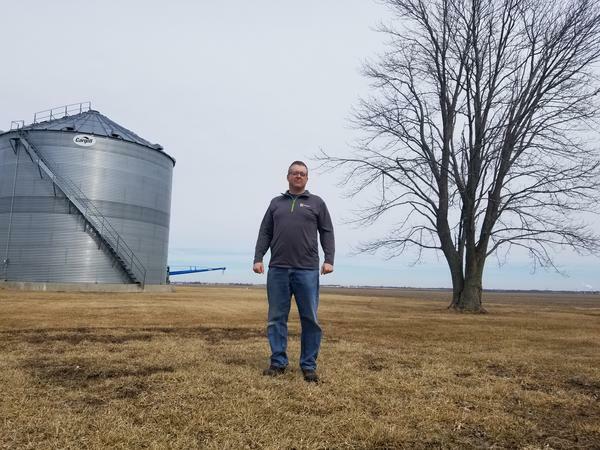 It has plans to grow that side of the business, raising questions whether farmers will be able to trust the accuracy of its seed-pricing reports. Farmer Aaron Phipps has been an FBN member for three years and said he still stands behind the company because he said the information has been solid so far and helps him bargain with his local suppliers. 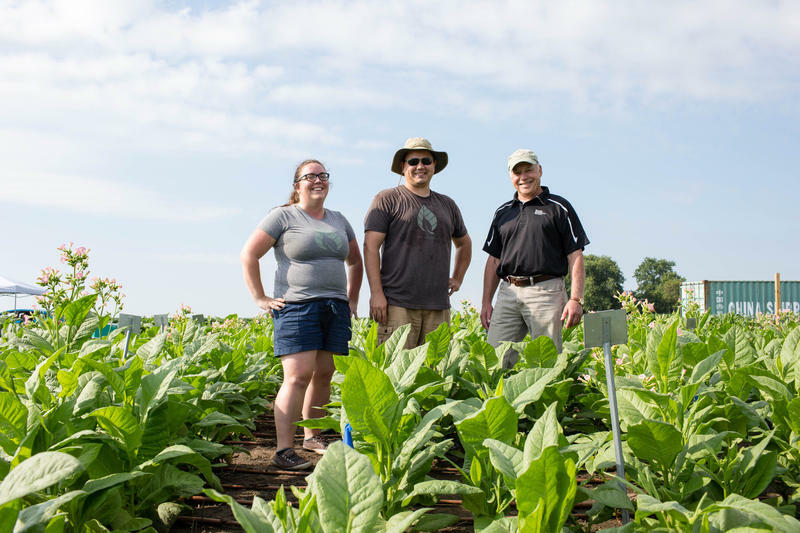 As Farmers Business Network continues to expand its membership and offerings, Phipps is concerned that, eventually, it could be bought by one of the major agribusinesses it criticizes. “Because then I no longer feel that they’re independent enough to make good decisions off of,” he said. But, he added, if that happens, something will likely replace it.